Home construction loans have their unique challenges and are vastly different from traditional lending products, but the right preparation and construction team goes a long way in increasing the chances of getting a loan approval. If you’re unsure of how to get started, be sure to contact us or speak with a representative to begin building a strong loan submission package to present to our consortium of residential construction lenders. Home construction loans come into play when prospective homeowners and homebuilders opt to design and build a custom home on an empty parcel of land. Construction loans work entirely different than a traditional home mortgage and underwriting factors are a bit more complicated than a simple purchase or refinance on a pre-existing home. Home construction loans, which can be originated for either ground up, new constructions or major renovation projects, are almost always short term (a maximum of one year) and have variable rates. Typically, a lender’s rate will be based on an index such as the Wall Street Journal Prime rate, or LIBOR, plus a “spread”- which should range anywhere between 2-3% above the index. Usually, these rates will be higher than what you’d see with a traditional mortgage loan, but we’ll go into the reasons why below. Why is getting a construction loan challenging? In the days before the recession of 2008, smaller builders and individual homeowners had greater access to construction capital. A stricter lending environment diminished this access and caused banks to reduce their overall appetite for speculation, or “spec” projects. Additionally, owner user construction projects got tossed into the mix due to Federal regulations on home loans. The loss of lender appetite is related mostly to the amount of risk that’s inherent in construction projects. Banks and investors are particularly cautious because they’re dependent on the market being the same or better at the end of your home’s construction term. Unlike a traditional mortgage, construction lenders don’t have anything to collateralize against until the property is actually built. This leaves the bank exposed to market fluctuations while the home is being constructed and as a result, underwriting criteria and loan terms are substantially stricter. 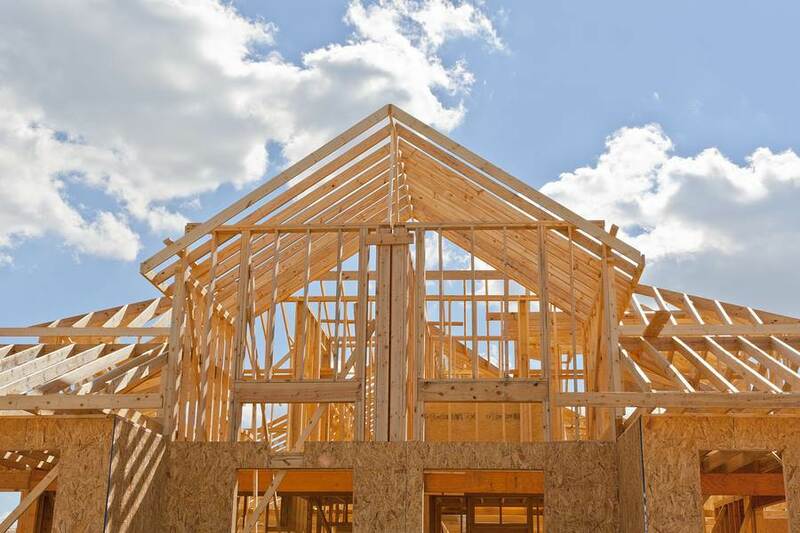 Despite the present state of residential construction lending, there are still banks and other financial institutions that offer an assortment of home construction or bridge loan products. Loan approvals hinge on several factors, but lenders need to see the details, or the “story” behind your project. Here’s what banks look at when they begin qualifying your construction project. Architectural plans and drawings are an absolute must. The more details that are included, the better your chances will be for a loan approval. If your contractor can provide you floor plans with specifics down to the type of materials that will be used, the lender is able to have a comprehensive idea of what your project entails and what the end result will be. You must also have city-approved permits in place at the time you apply for your construction loan. Banks need to see when the contractor expects certain milestones will be reached and what dollar amounts need to be allocated for each project phase. Since construction loans are almost always short term, a construction schedule needs to be clearly outlined and followed. Remember, lenders do not want any exposure that exceeds their risk appetite and one of the biggest ways to mitigate this is to have each individual project phase completed on schedule. A loan submission package with a clearly defined budget is required to ensure the feasibility of your project. A budget can be affected by countless factors like materials used, unforeseen changes in circumstances, and discoveries made during the actual construction process, so it’s important for the contractor and contractor to include a bit of cushion to cover any surprises or change in designs so that the budget is not exceeded. More importantly, however, is the initial accuracy of the budget that is submitted to the lender for approval. Lenders who finance construction projects are very familiar with cost structures in your area so, again, accuracy is a must. Since more risk is typically associated with residential construction lending, the bank or lender needs to heavily consider the project future value of your property at completion before they know how much they’re willing to lend. Obtaining an appraisal before you approach a lender can help give them a preliminary idea of what your property might be worth in the current market if it was already built. This can be accomplished by hiring a licensed appraiser who is familiar with your area. The appraiser will come out and review the construction site before compiling a list of “comps”, or existing comparable properties that are similar in size, features, and location to your home once it’s finished. Keep in mind a bank might demand one of their preferred appraisers to conduct their own examination, which the borrower always pays for. Most lenders have a maximum threshold of what they’ll lend in relation to how much they anticipate your home will be worth—this is known as the “loan to value”, or LTV ratio. When calculating this all-important figure, banks will use their estimated future value of your home. For example, let’s say after your appraisal comes in, the lender determines your home will be worth $2,500,000. If the bank’s maximum LTV% is 70%, they’ll lend a maximum of $1,750,000 (.70 x $2,500,000 = $1,750,000). The other ratio banks will always factor is the project’s “loan to cost”, or LTC ratio. This figure compares the amount of the loan to the cost of building the project to completion. For example, let’s say your home will cost $1,500,000 to construct and the lender has a maximum LTC of 60% (which is within most lenders’ thresholds in today’s environment). The maximum amount this lender would be willing to lend would be $900,000 ($1,500,000 x .60 = $900,000). In using both examples and comparing LTV% to LTC%, banks will always lend the lower of the two amounts. So in this case, assuming the bank has approved all other conditions, you would receive a loan amount of $900,000. This requires the gap ($600,000) to be funded by you. Ok, so now the bank knows about the actual structure you’re looking to build. But who will be in charge of building it? Lenders will scrutinize the people behind the project – you (if you’re the homeowner) and the General Contractor/developer you’ve hired. So what will they look at? Your annual income and income to debt ratios. General Contractor’s experience in residential builds. Both you and your General Contractor’s credit and financial profiles. You should be able to improve your prospect of successfully getting a residential construction loan if the General Contractor is qualified, experienced, and has a track-proven record of building quality homes. Hiring an inexperienced or untrustworthy contractor who misallocates construction funds or does a poor job increases the amount of risk a lender will perceive and will ultimately factor into declining your construction loan. This is also important to consider if you intend on developing the project yourself in an owner-builder scenario. Lenders want to know that an experienced builder who has completed several similar residential projects is overseeing yours. The contractor’s experience and reputability goes a long way in making the lender’s decision makers more comfortable in knowing that your construction project will be completed on time and at budget. Once the bank is past the underwriting phase and your construction loan has been approved, they will release an initial “draw”—a portioned release of funds—to pay for the first phase of the project. Banks then create a draw schedule that outlines when funds are to be released based upon completed project milestones. For example, a lender may specify that a draw will occur once the contractor pours the foundation, and another draw will occur once the framing is complete. Funds are periodically released as project phases are completed until the end of your project. How the draw schedule is actually structured can be negotiated between the lender, the contractor, and the homeowner (or their representative). Lenders will specify the guidelines and assign a construction fund manager to periodically check on construction progress and authorize the next draw. Although this is general perceived as cumbersome to the contractor, having a construction fund manager actually protects the borrower and the bank. These fund managers will have vast experience in the residential construction field and will catch things you might not, helping ensure the proper allocation of your money and a timely completion of your project. Typically, borrowers can expect to pay interest only during the construction phase. Other times, the bank will create an interest fund and make the payment from the loan. In these situations, this is done to prevent undue financial hardship on a borrower. At the end of the construction process and when the house is fully complete, borrowers will need to arrange permanent financing by obtaining a new loan to pay off the construction loan. Usually, this can be a 30 year mortgage or another conventional financing method. Apply for a Home Construction Loan Today. Or, call us at (310) 824-6420 to get started. Check out our Apartment and Multifamily Calculator to get a preliminary idea of what you may be able to borrow.